It is now a century since the start of The Great War, a war intended to bring an end to all conflicts, but now remembered as the First World War. Although a great deal has been written on the conflict and its history, the War remains little known and remote to modern generations. This book introduces the war to a new readership, providing a summary of facts that will enable readers to review that much-debated period with reason and dispassion rather than just emotion. The author indicates the causes of the war, what life was like for the British soldier fighting in it, and the principal military events of the war. It also deals with such things as the organization of the British Army; weapons, medical treatment; and the often contrary views of survivors, commentators and historians. It will interest students of history who appreciate a balanced summary and wish to consider the history of the First World War further, and will also help students and schools to learn something of that great and terrible conflict. 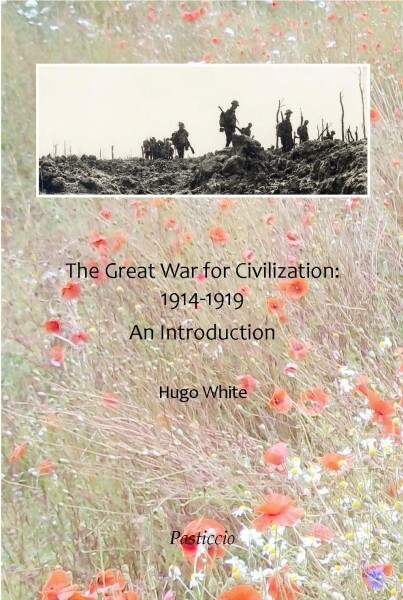 The author, Hugo White, was a soldier for some forty years, but has spent his life in the study of military history. His works of military history remain unique in the depth and extent of his research and in being the product of an author who understands not just the subject but the actions and life of a soldier.